When technical problems in 2016 affected more than 14,000 computerized State of Texas Assessments of Academic Readiness — or STAAR — tests, Sarah Martinez questioned whether online assessments were the way to go for her two daughters, who are both dyslexic. The latest issue with the online STAAR assessments came Tuesday, when students across Texas had difficulties connecting to the system. While the issue was quickly resolved, some advocates point out that the majority of students who take this version of STAAR are in special education or are English language learners. That’s because they might need the extra assistance the online version supports — like visual aids. Parents like Martinez worry that even short-lived computer glitches can have severe consequences on children with learning disabilities. 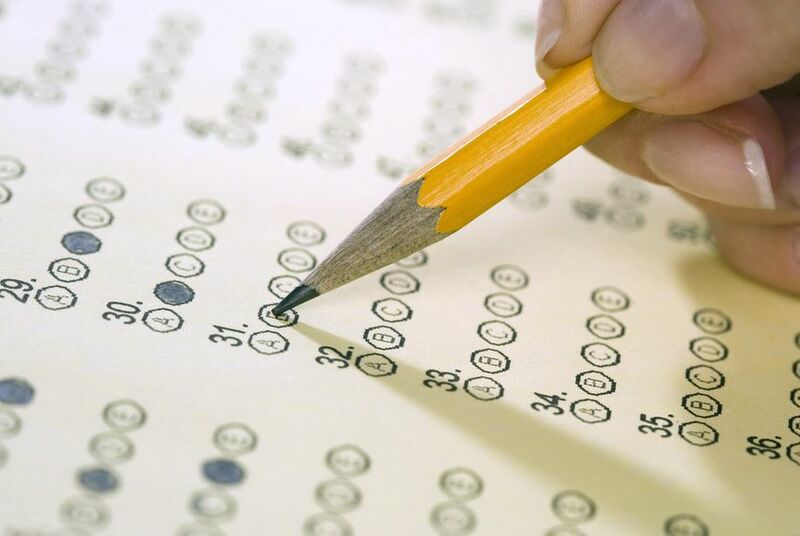 Districts across the state began administering this year’s STAAR exams in April. DeEtta Culbertson, a spokeswoman with the Texas Education Agency, said more than 110,000 students were actively testing online when STAAR’s virtual system experienced its most recent connectivity issues. During that time period, she said, some students taking the tests experienced “freezing screens, slowness opening a session, or getting logged out.” She added that there’s currently no information on the number of students and which districts were affected. Culbertson said the TEA is currently working with Educational Testing Service, a third-party contractor, to determine the cause of this week’s slowdown. She added that efforts to address the issue are accounting for the fact that the glitches impact many students with learning disabilities. “Any testing disruption is always a concern,” Culbertson said. “We are currently awaiting additional details on what happened and once we have the information, we can determine next steps”. But some advocates worry that might not be enough. Steven Aleman, a policy specialist for Disability Rights Texas, a nonprofit that advocates for Texans with disabilities, said glitches are likely with computerized STAAR tests because the online system is so massive. He encouraged parents of students with disabilities to be conscious of “accommodation resources,” such as asking the TEA for an extra day to complete a state assessment. “Any time there’s a disruption to the assessment system that affects the testing of students with disabilities, we would be concerned and would expect the TEA to immediately address the issue,” Aleman said. Parents of students with special education needs are also asking lawmakers to take action. A measure passed during last year’s legislative session by state Rep. Diego Bernal, D-San Antonio, requires a committee — a group that includes a parent, teachers and an educational administrator — to meet if a fifth- or eighth-grade student in special education fails the STAAR test. The committee will decide if it’s necessary to retest the student or if the student has met the necessary goals to move onto the next grade. Martinez said she’s encouraging Bernal to expand his legislation next year to include students served under “Section 504” — one of two programs that helps Texas public school students with learning disabilities. Her reasoning? Most students with dyslexia — including one of her daughters — qualify for 504 plans. Unlike special education programs, the plans generally address accommodations and other specialized needs that are separate from actual instructional needs. This is not the first time there have been issues with computerized STAAR tests. The first reported technical issues arose in 2016, and caused public school students to lose their answers on the state standardized exams. Most of the tests in question were being taken by special education students, Texas Education Commissioner Mike Morath said at the time. And in April of this year, teachers told The Dallas Morning News that some students were temporarily kicked out of the testing software while taking the STAAR exam. More than 100,000 students were taking the test at the time. “Obviously student performance is important at many different levels, and we want accurate results for students with disabilities just like we want accurate results for all student groups,” Aleman said.